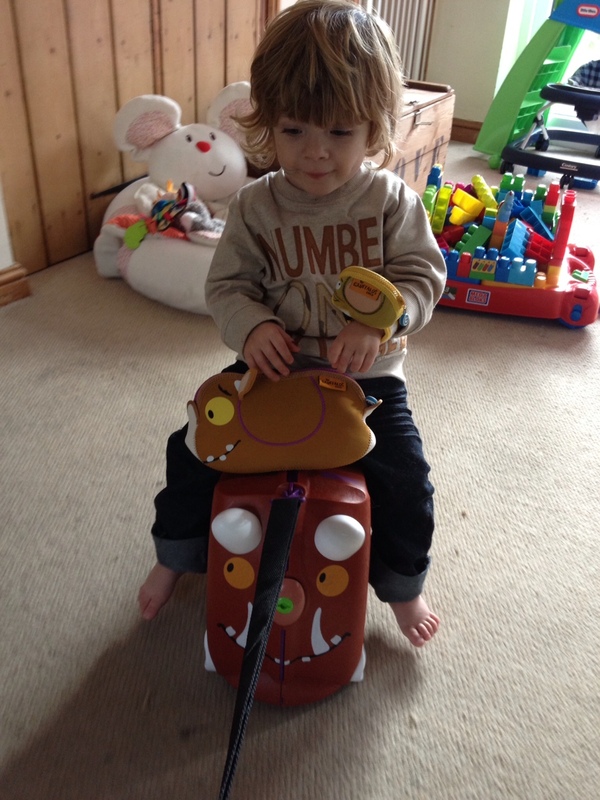 Being a huge Gruffalo fan in the Constant household, Noah was very lucky to receive his very own Gruffalo Trunki to look after. We even got sent some Gruffalo chums, the little chums are fabulous extras that Noah just adores too. I felt so lucky and little Noah within seconds of seeing it and crying for it, put it in the lounge and sat on him! Its like he knew what he was meant to do with it, so I have to hand it to those Trunki designers. It does the job very very well! To be honest, the Trunki couldn’t have come at a better time, the children had their very first sleep over this week at Nanna’s house and we used the little Gruffalo to pack up their bits and pieces. It came in very handy and I was amazed with the amount of space it has inside, its really deceiving. 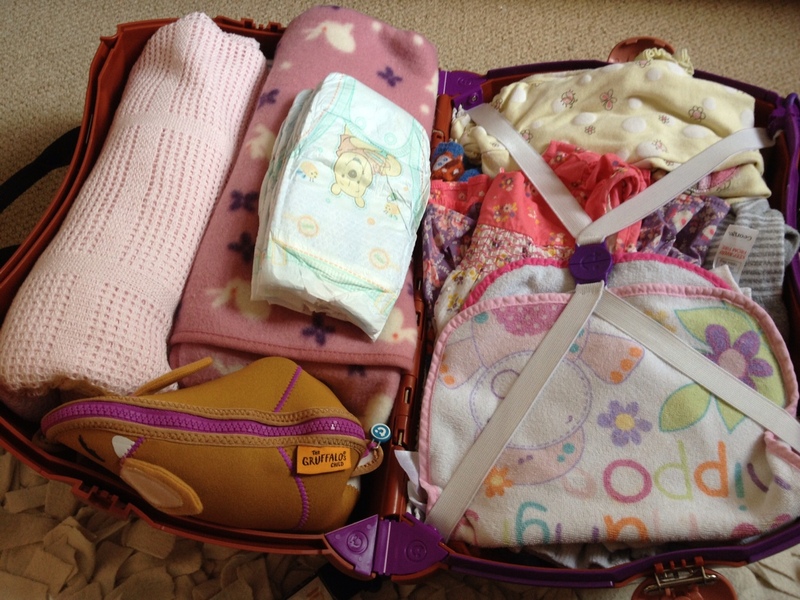 As you can see from the image above, I got blankets, PJ’s, clothes for the pair of them and a few extras in the Trunki and the cute little wash bag – the Gruffalo Chums set. 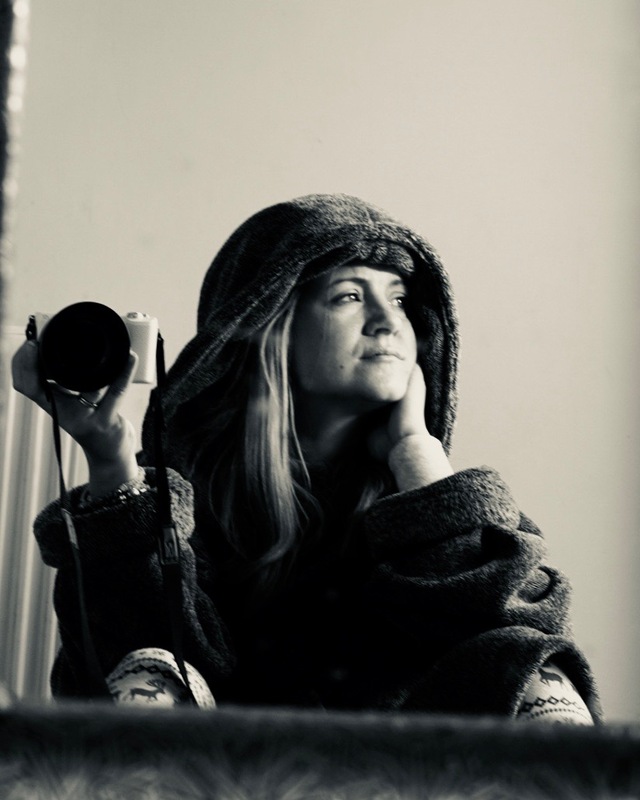 The case has a section on one side that has the safety clasps, so that the items do not spill everywhere and I always close the Trunki with this side as I know, the clothes won’t move and the items will be safe and secure – which means it will shut OK! Whenever I bring Trunki in to the room, Noah literally says “ooooooooh” in a really high pitched way, its very cute. 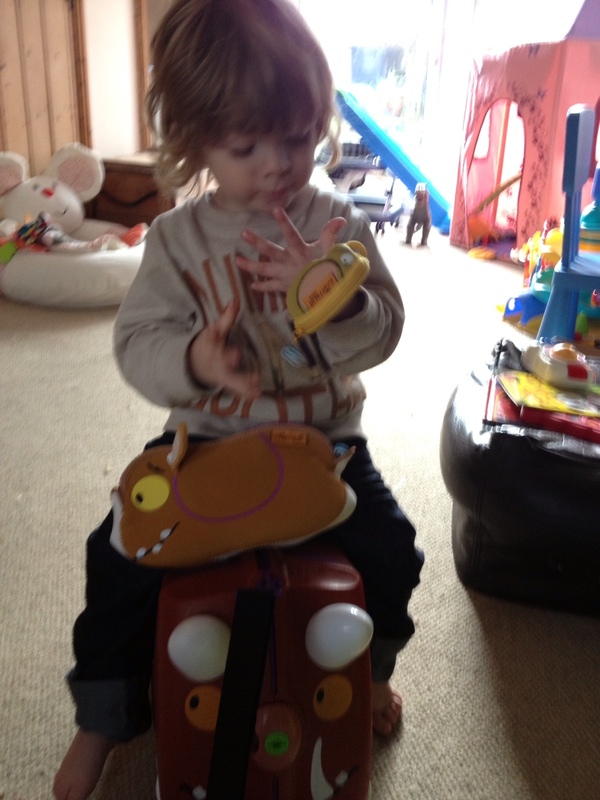 He knows who Gruffalo is and he loves sitting on the Trunki. I attached the Trunki lead which has the lock on it too and pull him around the lounge – I am super excited about using this in an airport. He will find it very amusing. The lock is on the end of the lead and you can literally lock the 2 fastenings either side of the Gruffalo, it comes in handy when you have flights or packed up cars and you do not want to risk loosing your items. It doesn’t look like a key either, which is the other useful thing! Very clever. 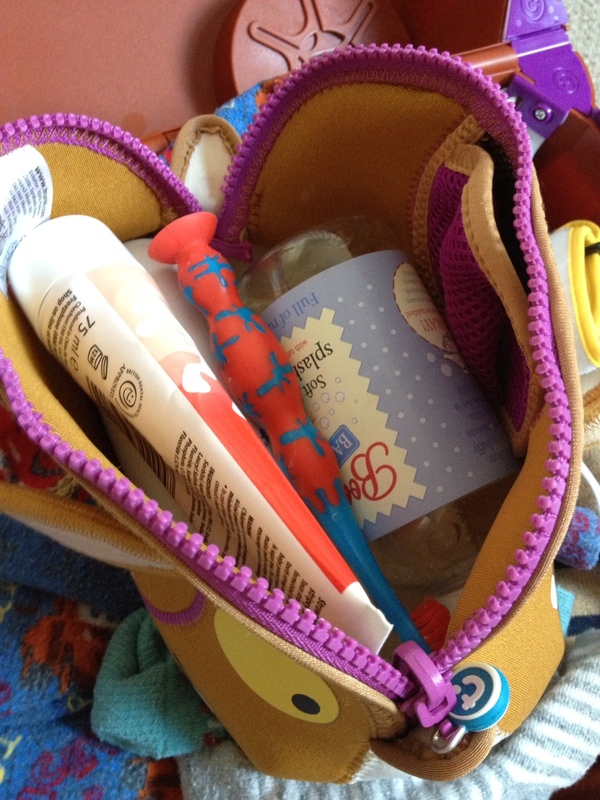 In the wash bag I packed up Noah’s toothbrush and toothpaste, bubble bath and talc – it all fitted in nicely and literally is a perfect size. It is a stretchy fabric, so I guess that helps with fitting different sized bottles of potion in. I thought the little Gruffalo looked really cute, I might just use it when Noah and Isla don’t need to, is that alright? With the Gruffalo chums set you also get a tiny mouse wrist purse, which Noah loved parading around the room. He doesn’t get money to go in it yes, as I know where the coins would go (in his mouth) and so he uses it as a pet. It keeps him happy as you can see from the first photo! I cannot stress enough how fantastic this product is and its accessories, I believe every child should have their own Trunki, as it will help them learn to organise and pack their own items – which I will be doing with Noah when he is a little bigger. 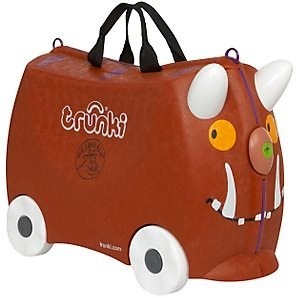 At the moment our favourite game is pretending Trunki is telling us the Gruffalo story, he laughs at me and calls me silly mummy.Its a great use of space inside and you can fit a lot in, the product isn’t bulky and I find it really easy to carry. (When you have a lot of bags to carry, that’s an important factor). 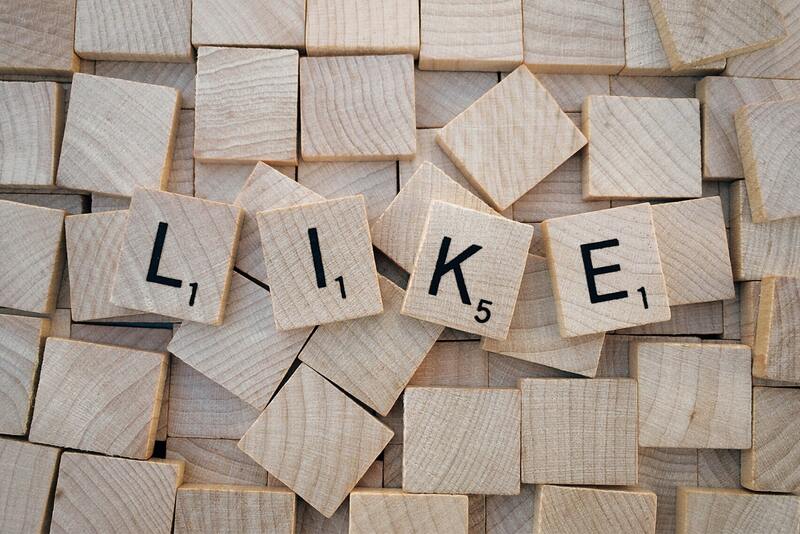 You can like Trunki on Facebook http://www.facebook.com/TrunkiTravels and follow them on Twitter: https://twitter.com/Trunki. The Gruffalo Trunki retails at £39.99 and the Gruffalo Chums are £14.99. Did you know its Vitamin D Day on 31st March 2013? What do you think when you visit the doctor? Ah ha! I spotted ones of these little suitcases at the train station the other day. A little boy was pulling one behind him and he looked so cute. I didn’t know what they were called so I’m glad I found this post as I might buy one for my daughter.